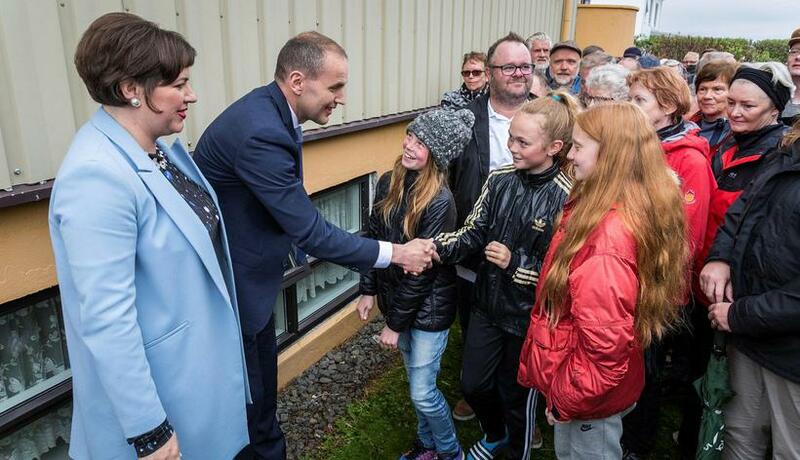 A great number of people arrived at the home of newly elected President of Iceland, Guðni Th.Jóhannesson yesterday in Seltjarnarnes, Reykjavik. 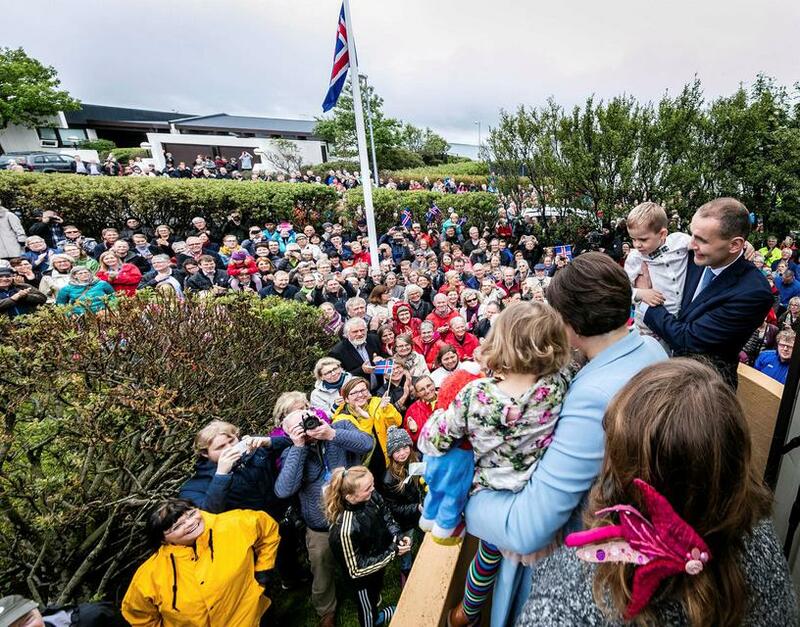 Mbl.is interviewed Óskar Gísli Kvaran, a five-year-old boy who said that he was happy to see the new president. Asked whether he would have preferred someone else to be president he replied, "No, this one is much better than that old guy who is president now." 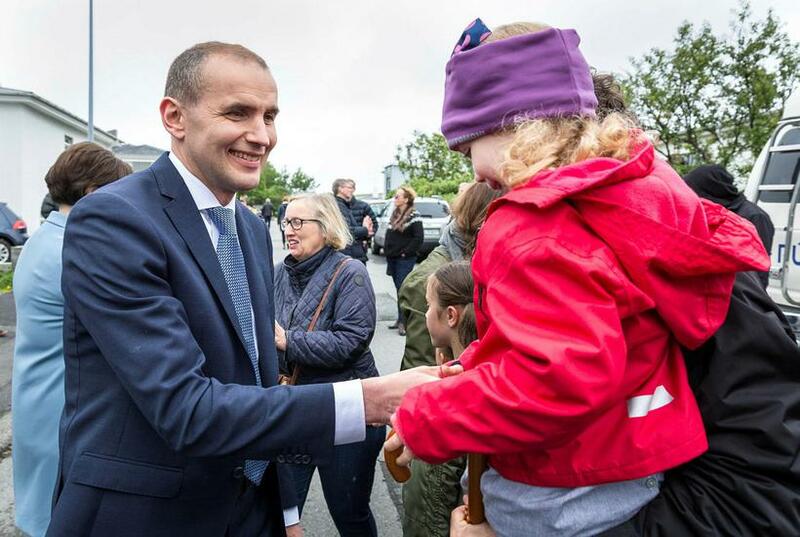 Jóhannesson will become president in August, replacing President Ólafur Ragnar Grímsson. 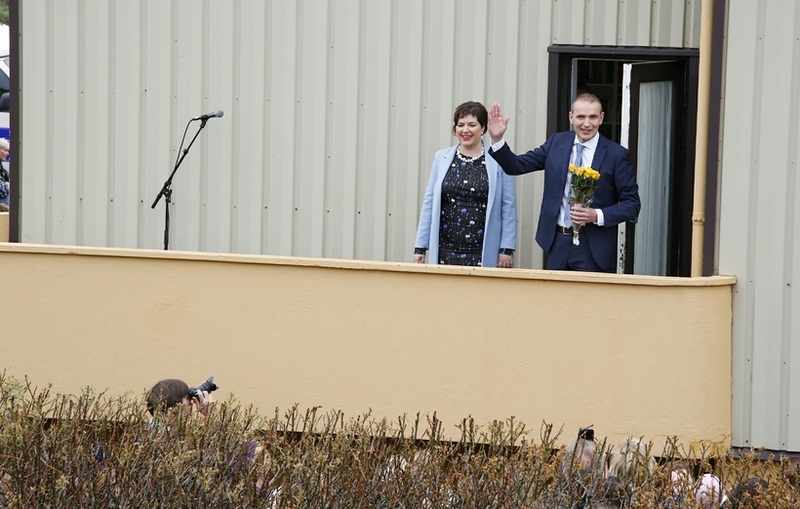 The first lady, Canadian born journalist and editor Eliza Reid wore a dress by Icelandic designer Hildur Yeoman for her first public appearance.